Common ¡11 a variety of habitats from open forest to savanna, this small, glossy grcen-and-white cuckoo feeds mainly on caterpillars. Its name refers to the plaintive "deca-dcca-dccdaric" call used by males when breeding. The male displays with shivering wings and spread tail, calling continuously. • NliST A nest parasite; the female lays a single egg in the nest of a passerine bird, preferring those of weaver and sparrow species. The young cuckoo sometimes pushes the chicks of the host bird out of the nest. • DISTRIBUTION Africa south of the Sahara; S.W. Arabian peninsula. 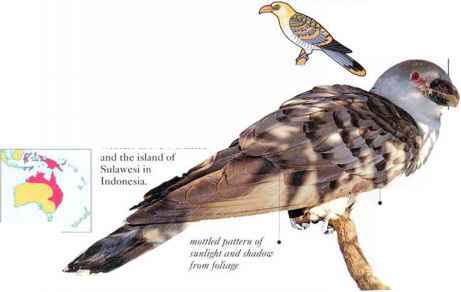 With its huge, powerful bill, long wings, and long tail, in flight this cuckoo resembles a hornbill (seepp. ¿30-231). It is most active at dusk and dawn and sometimes flies at night. I .oud, raucous calls are uttered in flight. 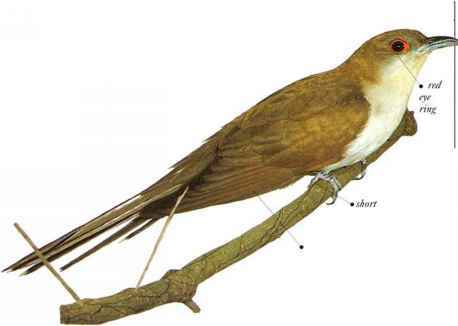 This is a bird of the treetops, feeding mainly on fruit such as figs but also taking insects, and sometimes eggs anil small nestlings. • NliST Parasitizes nests of currawongs. 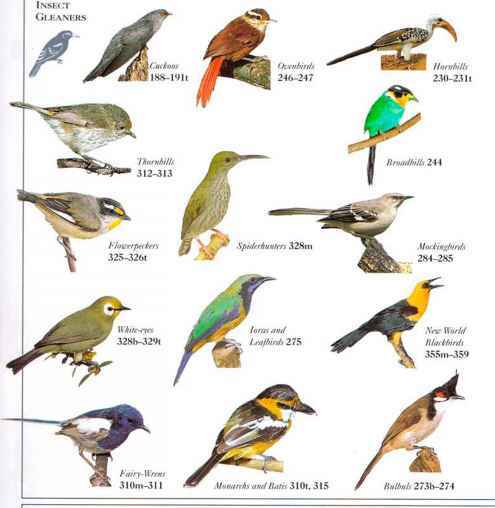 butcherbirds, crows, and Australasian Magpies (seepp. 383-384).